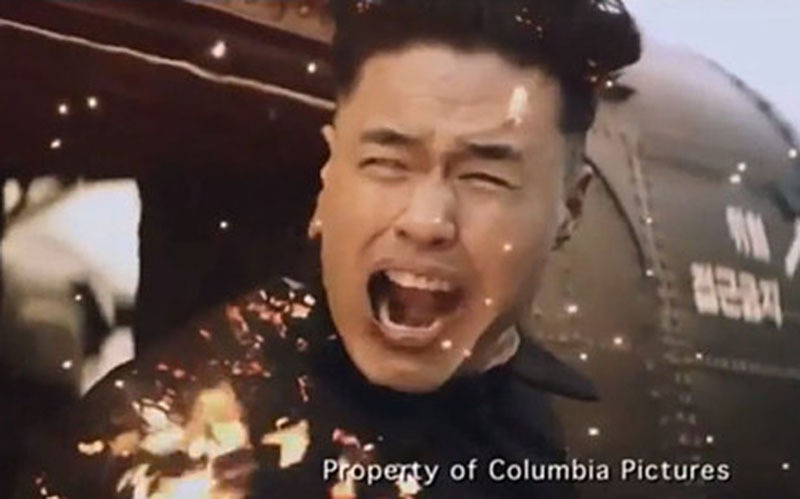 The recent uproar over the cinematic assassination of Kim Jong Un reminds us of just how much we underestimate the power of Hollywood. While guerrilla-hackers brought Sony Pictures Entertainment to its knees by revealing scandal-laden emails and threatening 9-11 style horror to prevent the release of the Interview, it is in fact the film industry that unknowingly holds the reigns on the political and ideological power of media, simulation, and the suspension of disbelief. First of all, Kim Jong Un is smarter than we give him credit: for he knows better than we do, better than Obama, even better than George Clooney, that Hollywood holds the key to an absolute, state-of-the-art, propaganda machine, which far outstrips anything the Supreme Leader can get his pudgy little hands on. By brandishing the gleaming, cinematic sword, in which there is no real blood, no real crime, no physical destruction, it cleanly and without leaving a trace, detonates explosive images in our collective imagination with nuclear precision. And yet, the cancellation of the Interview by Sony underscores the complex forces that drive and shape the rhetorical exchange between East and West. Ironically, it is the sassy, decadent, North Korean leader who understands his media theory the best. For this student of propaganda can never really compete with the masters of Hollywood, and he knows that, so it was necessary to commit the ultimate retaliation by exposing the industry’s dirty laundry. I propose that the Hollywood moguls catch up with the Supreme Leader on their media studies, a little Baudrillard or Virilio would serve them well, to recognize that they are in fact far and above Kim Jong Un as the propagandistic Masters of the Universe, able to concoct an apocalypse or assassination or nuclear attack whenever the moment requires. In the end, it is Hollywood that holds the levers of persuasion to win over the hearts and minds of men, if only it were not so embroiled in the turmoil of its own simulation.